Port Everglades is the port of choice for more than 20 shipping lines, moving more than 1,108,465 TEUs of cargo in FY2018. Port Everglades is the leading container port in Florida and is ranked as the 10th busiest container port in the nation. Steel rebar, aggregate, lumber and gypsum are just a few examples of bulk and breakbulk cargo moving through Port Everglades. One-fifth of Florida's energy requirements come from petroleum that is stored and distributed by companies located at Port Everglades. More than 5 billion gallons of petroleum products passed through Port Everglades in FY 2018. Specialized Cargo – Multi-million dollar yachts are loaded and ready for transport to Europe, the Mediterranean and worldwide. Most people associate South Florida with sunshine. There&apos;s a select group, however, that identifies it with speed. 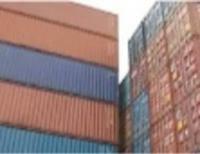 That group consists of more than 20 shipping lines and 10 terminal operators. For them, the fastest and most strategic course for their cargo is Port Everglades. Port Everglades has rapidly established itself as Florida leading seaport for containerized cargo. We&apos;re at the epicenter of a region that thrives on trade and tourism. It&apos;s the perfect hub and point of entry for companies that conduct business in Central America and South America, the Caribbean, Europe and the Far East. In Fiscal Year 2018, Port Everglades exceeded one-million TEUs (20-foot equivalent units, the industry&apos;s standard container measurement), for the fourth consecutive year, reporting a total of 1,108,465 million TEUs and maintaining its status as Florida&apos;s number one container port and the 10th leading container port in the United States, serving more than 150 ports and 70 countries. We are planning for the future by updating the Port&apos;s 20-year Master/Vision Plan every two years. The Port&apos;s 20-year Master/Vision Plan includes expansions to support future growth in containerized global trade, and the deepening and widening of the Port&apos;s channels and the expansion of the Southport Turning Notch. The Port&apos;s location at this global crossroads for trade also makes it extremely attractive for imports and exports - more than $18 billion worth . One key draw is Florida&apos;s first and largest Foreign-Trade Zone, conveniently situated in the heart of Port Everglades.